If getting the full Disneyland experience is crucial to your vacation enjoyment, then booking a stay at one of the three Disneyland Resort Hotels is the key to the magic! A Disneyland Resort hotel room comes with full Disney immersion, extended Park hours and exclusive family activities. 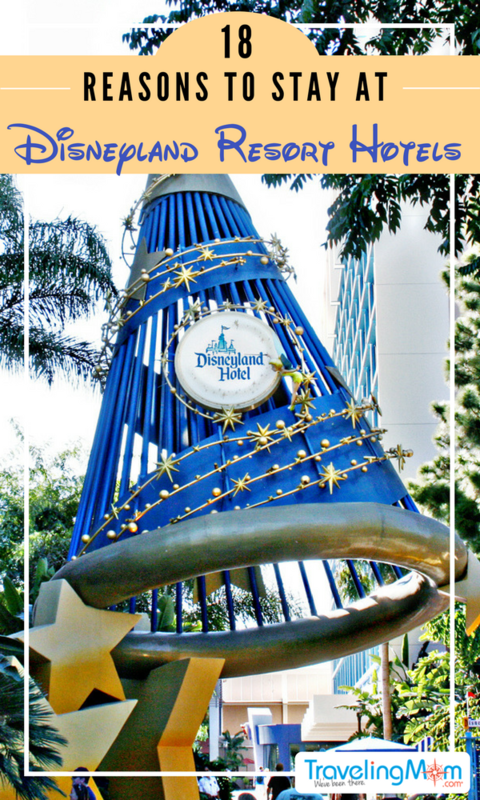 Our Day Trips TravelingMom has all of the details on why she thinks Disneyland visitors should stay at Disneyland Resort Hotels. 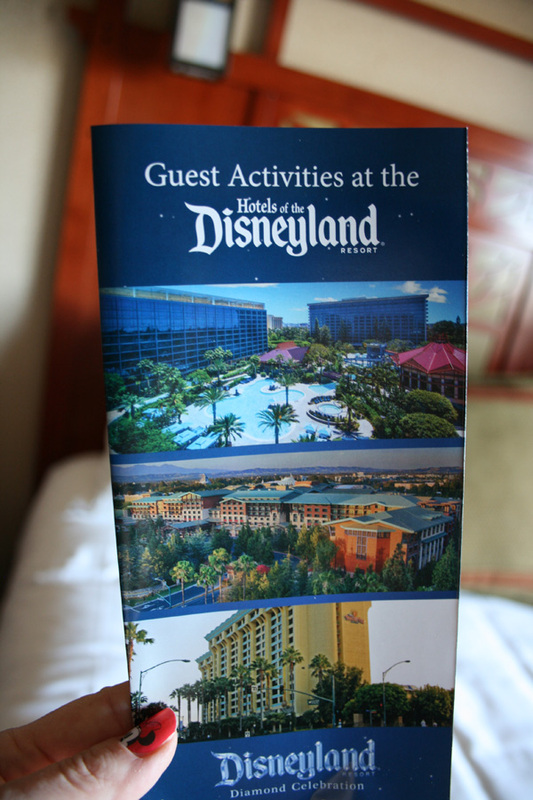 Why Stay at Disneyland Resort Hotels? 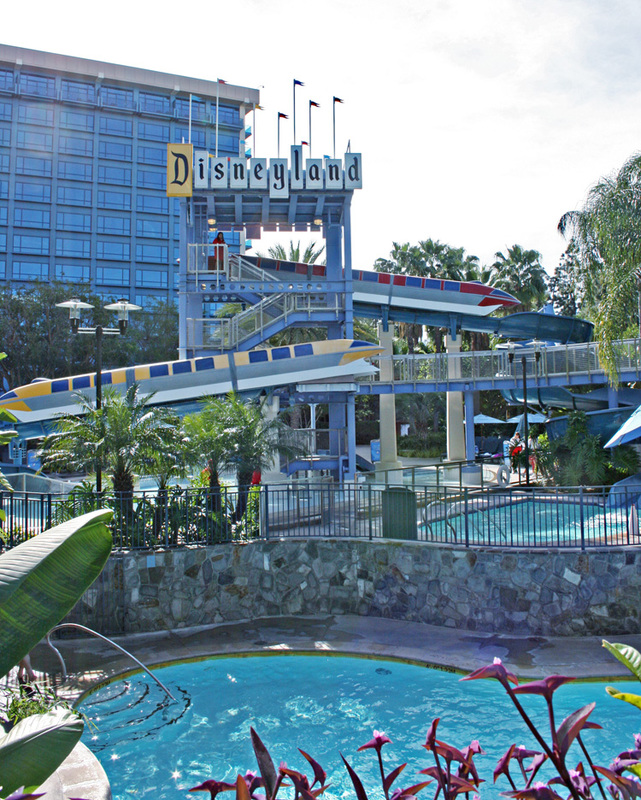 The Disneyland Resort is located in the middle of a bustling city and is surrounded by local hotels and motels. There are valid reasons why some vacationers decide to stay off-site (cost, variety, availability). For those familiar with Walt Disney World Resort hotels, each of the three Disneyland Resort Hotels would be considered in the “deluxe” category. This means they are costlier than the average hotels in the area. However, I think the benefits of a Disneyland Resort Hotel outweigh the cost differences in many cases. These are my top 18 reasons that visitors should stay on-site at one of the three Disneyland Resort Hotels. You’ll be immersed in all things Disney from the moment you step onto the property. The shampoo and hand lotion in the bathroom may have Mouse Ears. 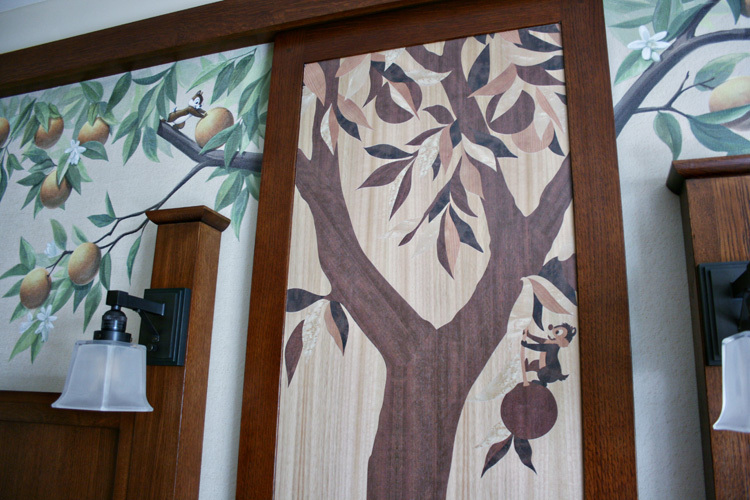 Little details like the bedding, shower curtain, wallpaper or the pictures on the walls may be Disney themed. And if you book a Park view room, what you see out the window will be Disney-themed because it will overlook the Parks! The Disneyland Hotel in particular has Hidden Mickeys to find from floor to ceiling and the amazing double headboard houses a magical surprise! 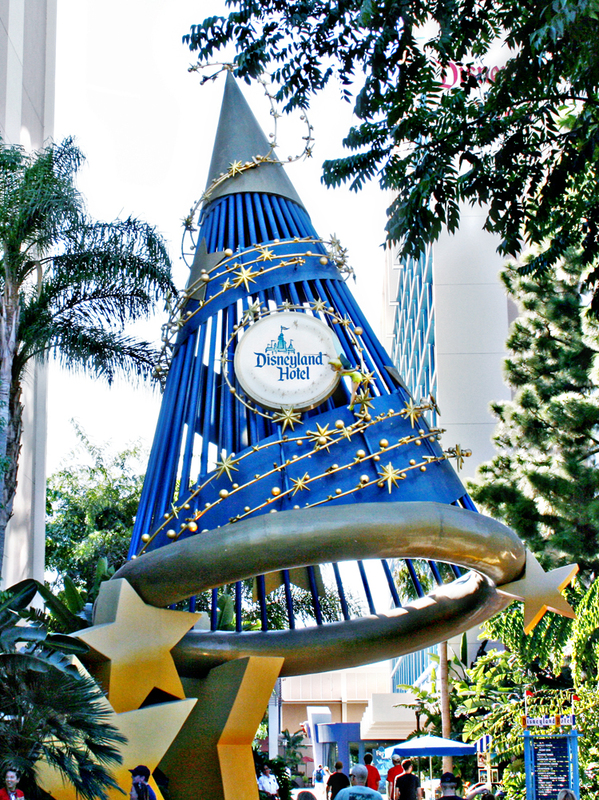 Along the pathway from the hotel to the Downtown Disney District is Mickey’s huge sorcerer’s hat that Tinker Bell illuminates with twinkling lights at night. There are Disney touches everywhere you look. 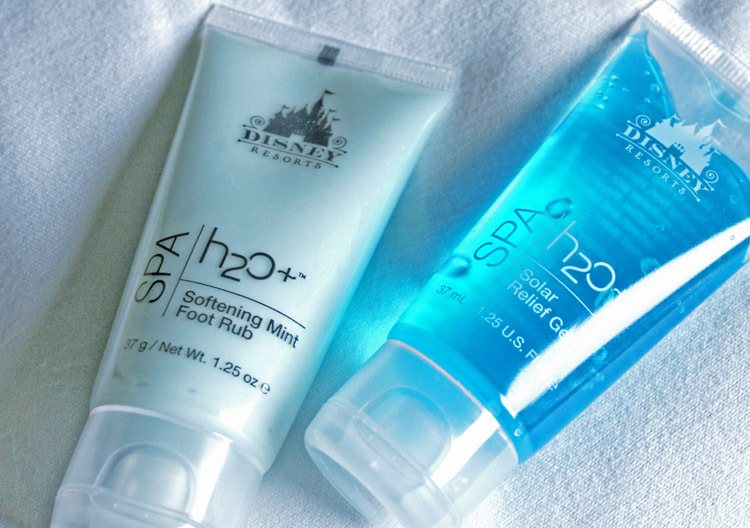 If you want to immerse yourself in the “Disney bubble,” staying at an on-site resort hotel is the only way to get these Disneyland hotel amenities. One of the leading benefits of staying at a Disney resort hotel is the Extra Magic Hour. For each day of your resort stay, you are able to enter the Parks (with valid ticket) one hour earlier than the general public. TravelingMom highly recommends purchasing from Get Away Today. You’ll save quite a bit of money on the hotel stay and Park tickets, which is always a benefit. Just click this picture to check out discounted ticket prices with our partner Get Away Today. 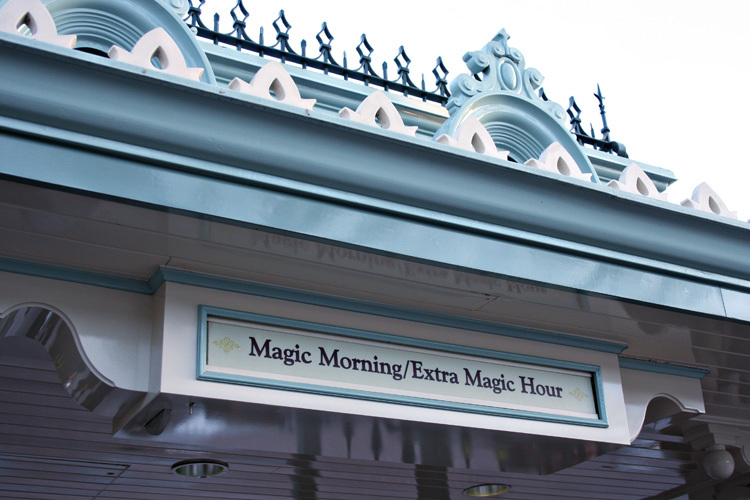 Please note that during Extra Magic Hour, only select attractions and shops are open. However, it’s a great way to hit Fantasyland in Disneyland or Cars Land at Disney California Adventure before the lines are a mile long. It’s amazing how much you can do in one hour in the Parks with smaller crowds! Each Park has separate gate entrances for the Extra Magic Hour guests. Want to buy souvenirs but don’t want to carry the bags with you around the Parks? Package Express will deliver any purchases made in the park directly to your Disneyland Resort hotel. 4. Good Morning, from Mickey! Schedule a free Character Wake-Up Call during your visit. On our last trip I had Mickey call to wake up the kids so we could get into the parks early! At the Grand Californian Hotel and Spa, there is a private entrance for guests. This allows quicker entrance into Disney California Adventure park. You will be required to show your valid room key to use this entrance. You will also need your valid park admission ticket. 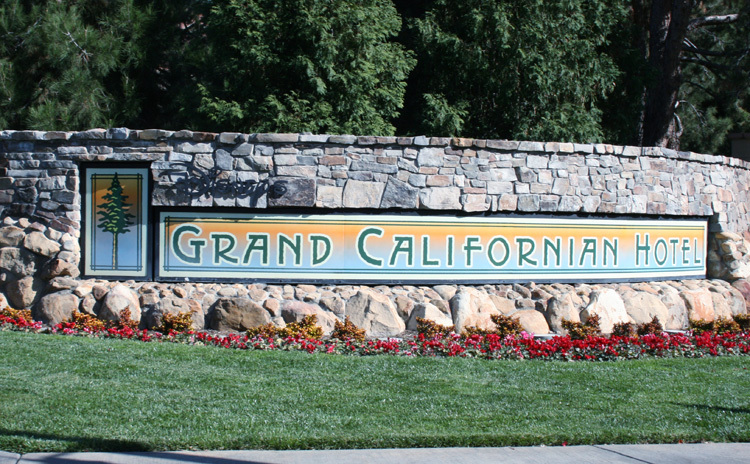 We used this entrance and exit several times during our most recent trip when we were staying at the Grand Californian. This allowed us to quickly leave the Park for lunch at Storyteller’s Cafe and to take a mid-day swim. Book a Park View room at the Disneyland Resort and you’ll receive an exceptional view of one of the Parks, including the opportunity to watch a parade or show from your window. If you’re looking for a little something extra, consider adding concierge to your visit. My family and I did this once. Concierge allowed us use of the private lounge. We ate breakfast in the lounge, stocked up with drinks and snacks that we took to the pool in the afternoon, and had appetizers (they also serve wine) in the evening before dinner. When we got back to the room, there was a plate with Mickey-shaped treats and fresh strawberries waiting for us. The Concierge service is something extra special, especially if you take breaks mid-day to enjoy the drinks and snacks in the lounge. True, you don’t have to stay at the Disneyland Resort Hotels in order to book reservations at the restaurants, but it’s nice to know that they’re so close at hand when you stay on-site. Each of the three Disneyland Resort Hotels have their own character dining restaurants as well as upscale dining like Steakhouse 55 and Napa Rose. Set your watch to island time at the Disneyland Hotel and enjoy the tropical sounds on the tiki-torch lit patio outside Trader Sam’s – Enchanted Tiki Bar. 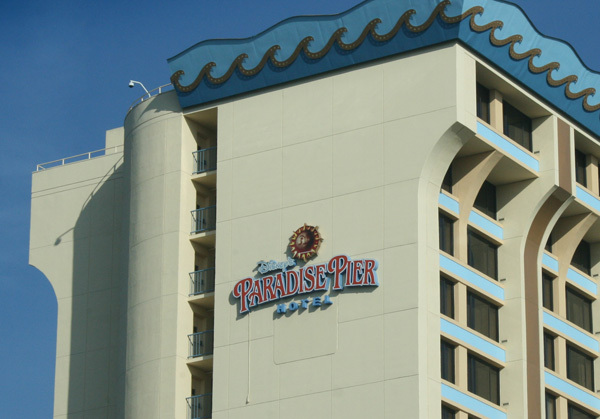 At the Paradise Pier Hotel, resort guests can visit the roof top pool area to watch the Disneyland fireworks show, complete with narration and music piped in over loudspeakers. Each of the Disneyland Resort Hotels host a Magical Night at the Movies. Bring your own snacks and enjoy a Disney movie shown outside. You can find out the time, location and specific film during check-in. There’s nothing like them anywhere except at the Disneyland Hotel. For the ultimate VIP experience, book one of these five extravagantly themed suites, including the Mickey Mouse Penthouse, Pirates of the Caribbean Suite or Cinderella in the Fairy Tale Suite. These swanky rooms are pretty much the thing that Disney dreams are made of! 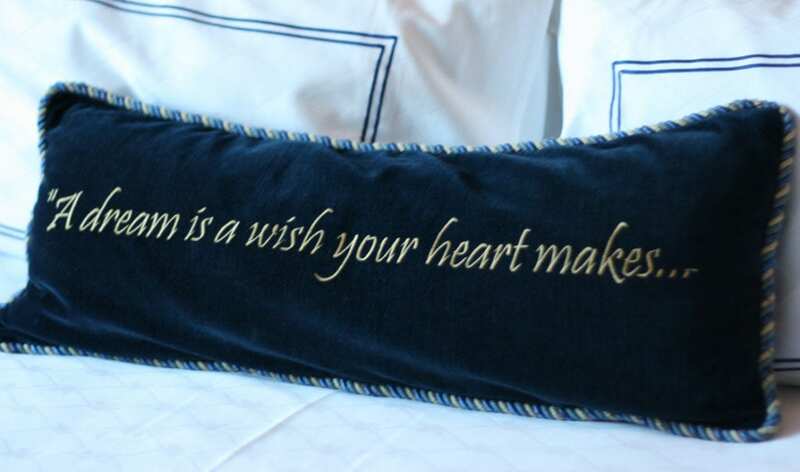 If you have a special occasion during your trip, as a hotel guest you may contact Disney Vacation Planning for Disney Dream Makers to bring just about anything your heart desires directly to your room! This is a particularly sweet addition for grandparents to surprise grandkids with a treat basket, floral bouquet or even a full-room celebration complete with decorations, balloons and a cake. Didn’t get enough exercise on your Disneyland day? Take a fast paced 2-mile power walk in the wee hours of the morning that leads Disney Resort Hotel guests briskly through the Disney California Adventure Park. This is a complimentary activity and guests can sign up at Guest Services. Adult room keys (your Key to the Magic) will be linked to the credit card that you use during check in so you can charge some Disney purchases to your room account and not have to mess around with carrying your wallet. This is particularly handy when going to the Resort pool and you want to order food and drinks but don’t want to lug your wallet. Disney Resort hotels have amazing pools. There are water slides, hot tubs, and lots of lounging areas. Fresh towels, swim diapers for babies, life vests for toddlers are supplied. You can even get pool-side dining and drink service. 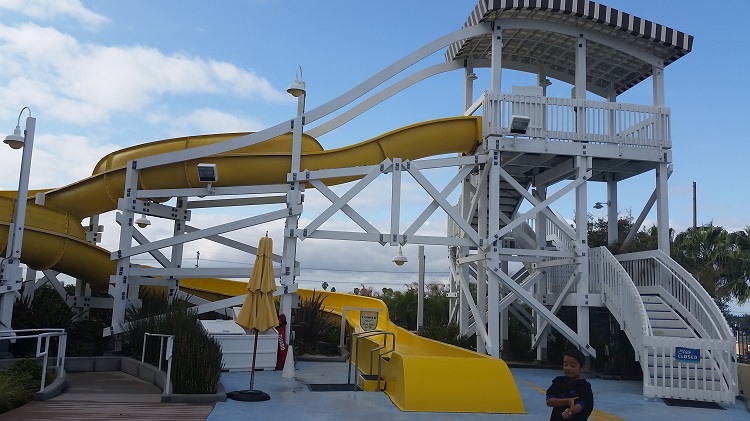 All three resorts have great water slides, several pools to choose from as well as hot tubs. With the resorts so close, we usually take a mid-day swim break and return to the parks refreshed in the late afternoon. There are many exclusive family activities for guests of the Disneyland Resort Hotels. Sign up for an animator’s class to learn how to draw Mickey. Take a trivia challenge or enjoy an exclusive magic experience at the Main Street Magic Shop inside Disneyland. Participate in a scavenger hunt inside the hotel or learn how to create adorable washcloth creations. Guests can register for these special activities at Guest Services inside their Disney Resort Hotel. 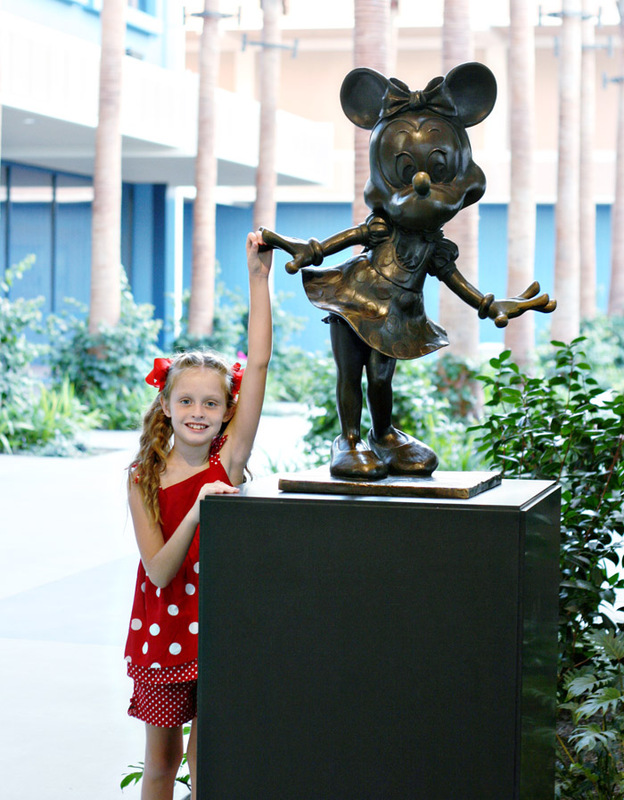 Want to learn more about the Disney Resort Hotels? Guests 14+ can take complimentary one-hour walking tours to learn more about these special resorts. 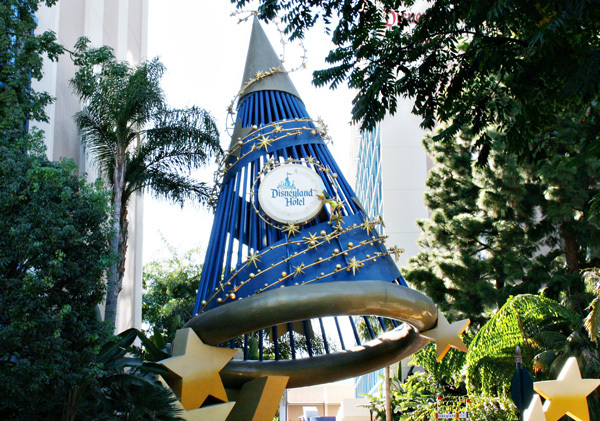 Take the Happiest Hotel on Earth Tour and discover how the Disneyland Hotel was a part of Walt Disney’s dream plan. On the Art of the Craft Tour at the Grand Californian Hotel & Spa, guests will discover more about the architecture and design of this marvelous hotel (reserve a spot at the Guest Services desk). Fingers crossed for that special visit to Bibbidi Bobbidi Boutique or Blue Bayou restaurant? You might be worried the reservations won’t be available during the peak season. There are a limited number of reservations for some restaurants and boutique transformations if you’re a Disneyland Resort guest. 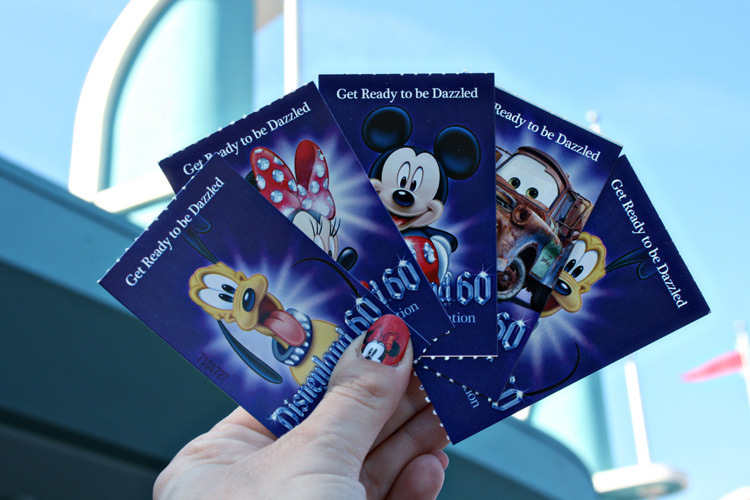 These reservations are set aside especially for Disneyland Resort hotel guests (call up to 60 days in advance to book). 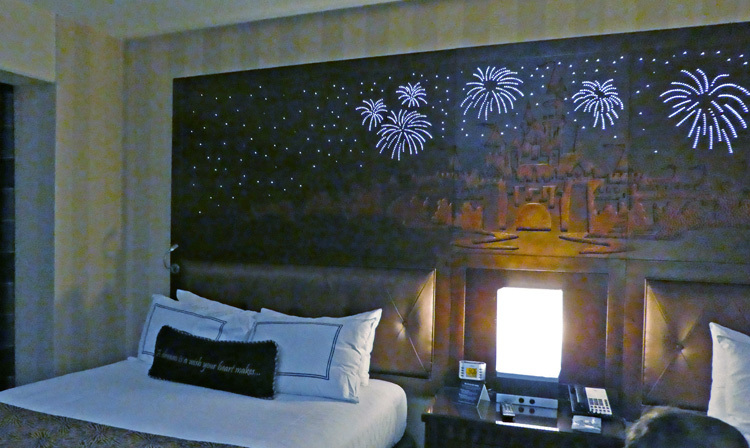 Each of the Disneyland resort hotels offer little details that make your vacation extra magical. 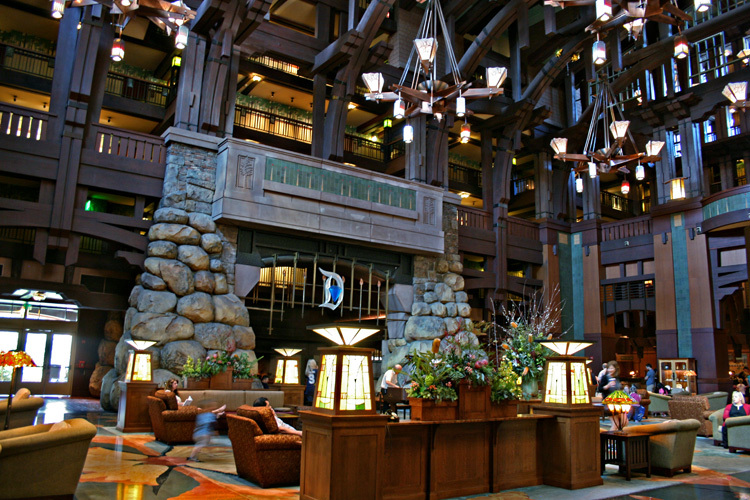 Enjoy live piano music in the lobby of the Grand Californian Hotel & Spa. 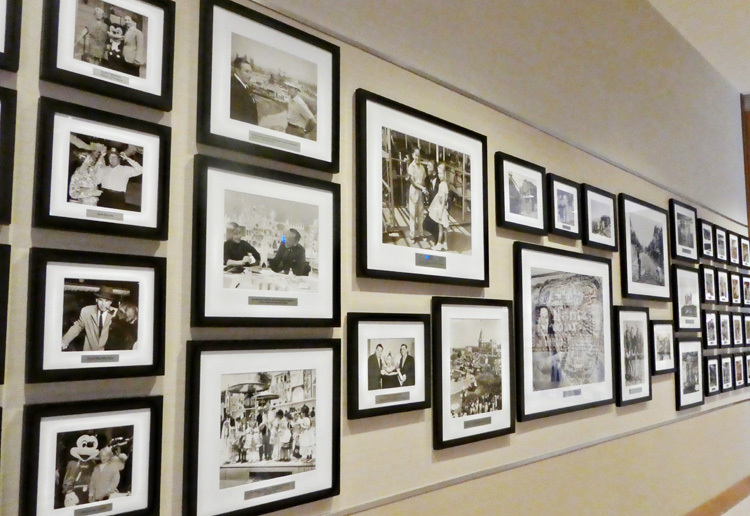 See the interactive map and historical photos in the Disneyland Hotel lobby. Watch World of Color from your room at the Paradise Pier Hotel. It’s all magical and these little details add so much fun to your trip. This magic extends to the Disney Cast Members as well. These employees often go out of their way to help make your stay special. We’ve personally received complimentary personalized buttons and room upgrades at check-in. When my young son mistakenly left his stuffed animal in our room, the Cast Member at guest services was so accommodating. A few days after we arrived home, we received his lost toy in the mail from the hotel! What is your favorite reason for staying on-site at Disney hotels? Share with us in the comments! Great information. Loved the website. Have stayed at Disneyland Hotel twice and will be staying again in June. We adore it, probably our favorite hotel anywhere. Last year we stayed off property in an effort to “save money” and it was such a disappointment, we missed the magic, the convenience, the quality. Never again! Good information. Last time I was at Disneyland we stayed at the Disneyland Hotel. This time Paradise Pier. Took all 16 grandkids over 8 trips. Always preferred the Disneyland Hotel. Returning with my husband in Sept. for fiftieth wedding anniversary, for five night at Disney Hotel, booked thru GetAway Today. Cudos to Tanner and to you for your insightful info! That is fantastic Jan! I know of no better way I’d want to spend my anniversary than at the Happiest Place!! Question about the package delivery service for future reference, do you know if they allow you to have snacks from the Candy Palace delivered? I’m not sure whether they count that as a food item or merchandise or whether they’ll deliver those, and I can’t find any info anywhere regarding that. How did you go about getting a room upgrade?